Today (01st December 2013) saw the presentation of a cheque for £450 to the Buckfastleigh branch of the Royal British Legion. The money was the proceeds from the popular "Driver for a Tenner" event which had been held on Saturday 09 November. 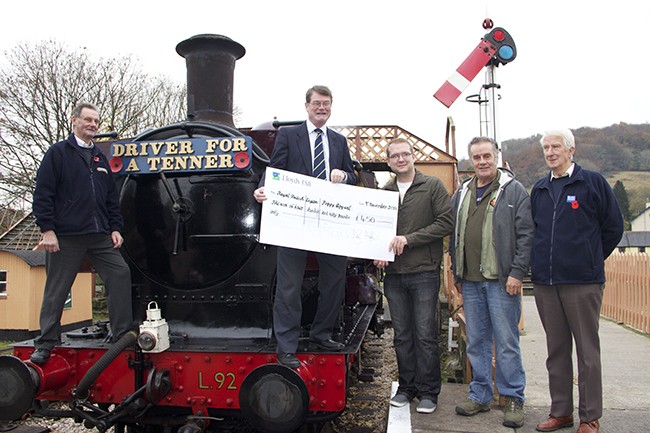 John Haslam, Senior Manager of the South Devon Railway, handed over the money to Dean Sellick, with locomotive L92 in the background: it was about to work the first of this season's SDR Santa Express trains. Chris Bowden, who made the headboard (and all the other SDR headboards), Colin Harmes and Ron Reynolds were also present. 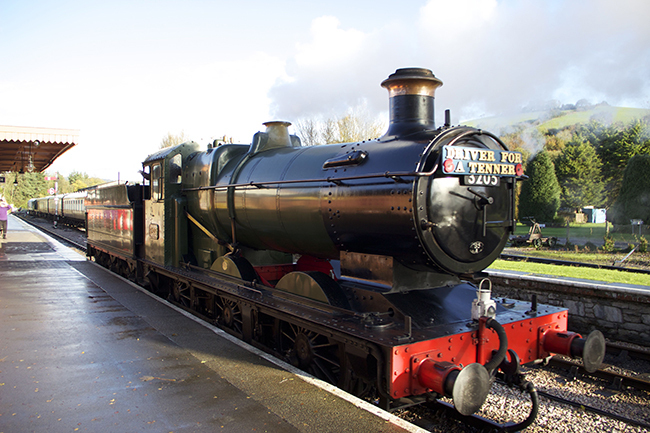 On Saturday 9th November 2013 the South Devon Railway held its annual “Driver for a Tenner” event. Running the weekend after the daily train service has finished, participants got to take the regulator of Collett 0-6-0 No 3205 for a trip up the line as far as Caddaford, with all the proceeds going towards the Royal British Legion’s Poppy Appeal. Advance booking is always advisable for the event, and every slot was taken this year, although it did prove possible to fit in a few people who turned up on the day. 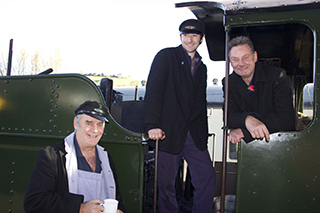 The footplate crew for the day were Chris Bowden, Russell McKee and Colin Harmes, who rotated throughout the day to give sufficient time for tea drinking. The museum was open throughout the event, and the cafe and shop did a brisk trade. Marina Mitchelmore coordinated the whole event, and the many visitors went away happy with another enjoyable and worthwhile event. 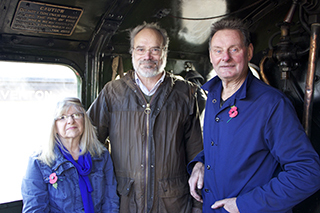 Mavis and John Hunt with driver Chris Bowden Footplate crew for the day (L-R): Colin Harmes, Russell McKee, Chris Bowden. 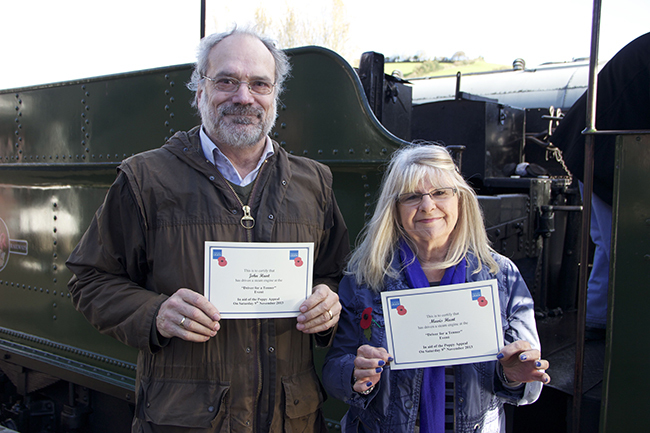 John and Mavis Hunt are duly certified after their exploits!